Darth Sunshine: Pennants...and MORE BLOG CANDY!!!! It's time for more blog candy!!! 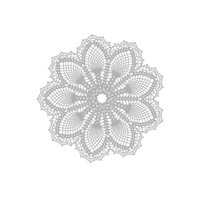 This week I'm giving away the background stamp Hello, Doily! Leave a comment on this blog for a chance to win! This week's card I did for Splitcoaststamper's VSN flag/pennant challenge. I love VSN because part of the challenge is not working more than 45 minutes on a card. ISN'T THAT CRAZY!!! Believe me...that is a serious challege for me! I've got my Stamp Club meeting this Saturday and I'm offering lots of stamps and accessories for SALE!!! SQUEEEEE!!! Once my club members have their chance to shop...I'll be listing what's left...so be sure to check my tab on the top of the blog page for what you can shop for! Comment before midnight this THURSDAY August 25th for your chance to win Hello, Doily!!! Love love love your happy pennant card - the colors are fab! Gorgeous card! It turned out so cute! Great card. Thanks for the giveaway! Love your red, white and blue pennant card with the polka dot embossing!! Super cute!! !